I again used the gradation technique for my nail art. I first put a base coat to protect my nails. I then used a makeup sponge to cover my entire nail with white nail polish. To use the makeup sponge you need to take the nail polish and brush it onto the sponge. I used a turquoise nail polish with the makeup sponge and blended from 3/4 of my nail to the tip. Be sure to do one nail at a time so that the polish doesn’t dry and blends between the colors. 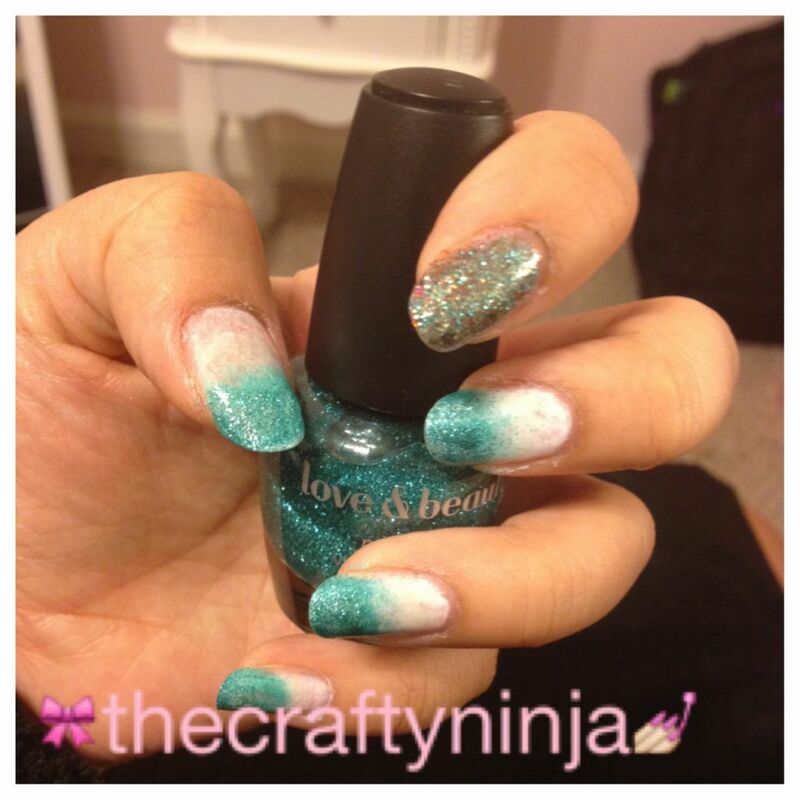 I went over with the turquoise glitter nail polish using the makeup sponge. This technique takes some time but the patience is worth the outcome. For my pointer finger I mixed all my glitter polishes to create this affect. I topped it all off with a top coat. Here is how I created this ombre look with a makeup sponge.